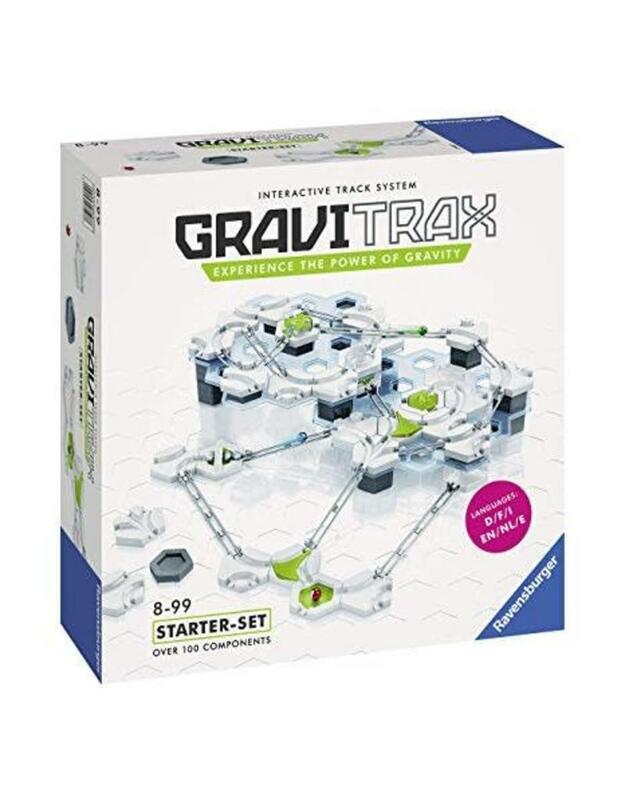 With over 100 pieces and 18 different construction elements, the GraviTrax Starter Set offers everything you need to begin building your own action-packed marble run. Discover how the laws of physics affect the journey your marble takes with curves, junctions, freefalls and even a cannon. Experiment using different heights and angles to control the speed of the marble to get it to the finish.